Architecture and interior designed by French, Paris based jeweller Pascal Morabito, MORABITO ART VILLA is the perfect mix of contemporary and ancient works of art. 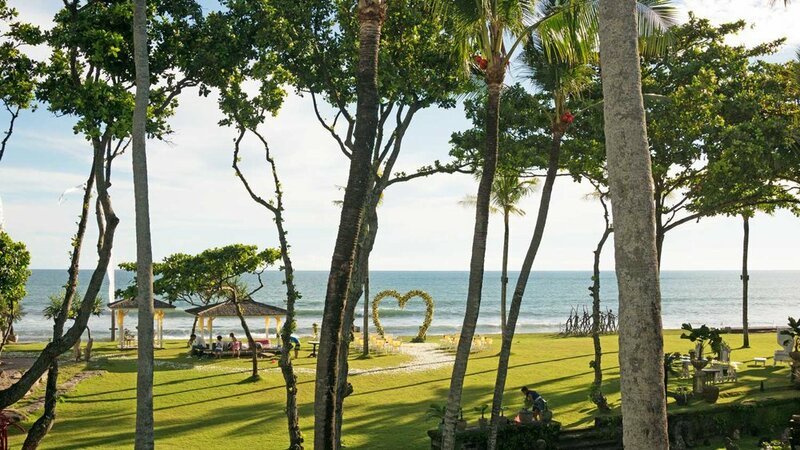 Located in Berawa Beach famous surf spot in Canggu area on the west coast of the Island MORABITO ART VILLA, is a unique estate in Bali. In the midst of a flowery one-hectare tropical park, 75 m directly facing the Indian Ocean, MORABITO ART VILLA will provide you with an oasis of pure relaxation and renewal in the heart of nature’s most beautiful scenery. We are pleased to be able to offer our clients high level of professional care and attention to details that makes MORABITO ART VILLA the preferred choice for top luxury accommodation in Bali, executed with truly unmatched in terms of quality and style. Our team and staff of 25 people make sure keeps you stress free, exceed your expectations and leave you and your guests with unforgettable memories. Just a short note to say thank you once again for what was such a lovely stay for us in Bali. All your staff were just wonderful and your villa is an amazing place to bliss out! MORABITO Beach Front Restaurant will welcome you for Breakfast after surf or jogging by Berawa beach, Lunch before resting in lounge beds ocean front or pool side, Cocktails at Sunset and Dinner under the stars.